Golf season is in full swing. While spending the day on the golf course you have an opportunity to help a Golden Retriever rescue at the same time. The Wisconsin Adopt a Golden Retriever(WAAGR) golf outing tees off Sept. 24 and the organization is looking for foursomes, corporate and hole sponsors, and silent auction items for the event. WAAGR’s annual golf outing will be held at a new location in 2011, Scenic View Country Club in Slinger, Wis. The event will be held rain or shine, and starts at 8:30 a.m. The event is a 4-person scramble with a shotgun start. The putting contest begins at 7:45 a.m. prior to the start of the outing, so come early! 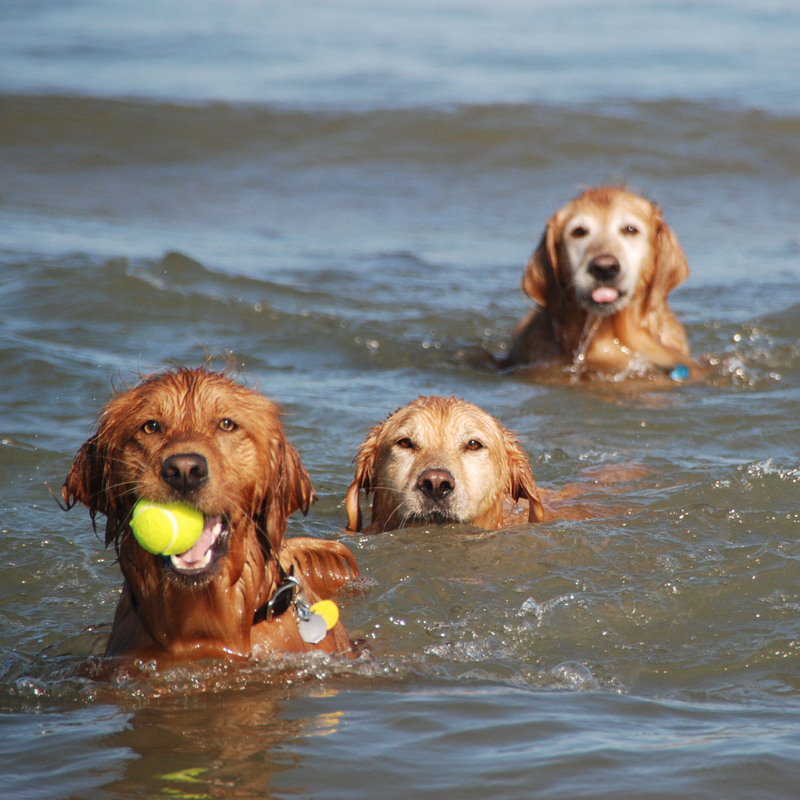 Enjoy a day of golf, while helping the Golden Retrievers in WAAGR’s care. The cost is $100 per person, which includes 18 holes with cart, a buffet dinner, and a chance to win prizes. Prizes also will be awarded for longest putt, longest drive, closest to the pin, low score team, high score team and a hole-in one contest. The deadline to sign up for the event is Sept. 17. Not a golfer? The cost to attend the dinner and silent auction only is $20. All proceeds from the event go to help the Golden Retrievers that are fostered through the group. Contact Craig Cwiklowski at (414) 550-1933 or cpcwiklowski@hughes.net to sign up, donate an item for the silent auction or for more information about the event. The registration form for the golf outing is posted on the WAAGR Web site. For more information about this and other WAAGR events, visit WAAGR on the Web at www.waagr.org. WAAGR has no paid staff and depends on the generosity of individuals that want to help provide a safe and happy life for Golden Retrievers that for whatever reason have lost their homes. For more information about WAAGR or to become a member, visit www.waagr.org. 1859 N. 40th St., Milwaukee. Humane Society. Demonstrations and talks will be given by the Milwaukee County Sheriff K9 Unit, Jen Digate of Wild Canine dog training, Battle Against Dogfighting, and more. Friends of MADACC and other local rescue groups will also feature adoptable dogs. Admission for Bark Day is $5 per dog and includes a “doggy” bag. Register to attend in advance at www.washingtonbark.eventbrite.com and receive one entry into a raffle for a special prize that includes a 2012 dog park permit. Bring an item from the MADACC wish list on the day of the event and also be entered be entered into the raffle. View the wish list at www.madaccfriends.org/support/wish-list. New this year is a one-mile dog walk around the Washington Park lagoon beginning at 10:30 a.m. Registration for the walk begins at 9:30 a.m. Walkers are encouraged to gather pledge donations. Walkers who raise $25 or more receive a unique Bark Day dog bandanna. Download the pledge form at www.washingtonbark.eventbrite.com. Sutton at 414-301-9440 or zatarra007@gmail.com. Care, Fresh Is Best, and Wisconsin Humane Society. Friends of MADACC (Milwaukee Area Domestic Animal Control Commission) is a 501(c)(3) nonprofit organization dedicated to promoting community awareness and improving the welfare of the nearly 13,000 homeless animals MADACC cares for every year. Friends of MADACC is a network of volunteers that provides educational programs, training, foster care, dog walking, and cat socialization to enhance the quality of life of animals at MADACC. The organization’s goal is to increase the number of animals adopted from MADACC and prevent animal cruelty and neglect. Friends of MADACC ensures donations stay in Milwaukee County to help local homeless animals. Many of these animals are friendly, healthy, and highly adoptable, and Friends of MADACC’s efforts give them a second chance at finding permanent, loving homes. Visit www.madaccfriends.org for more information. Residents for Off-leash Parks (ROMP) aims to establish and maintain off-leash dog exercise areas in Milwaukee County, through community and municipal partnerships, where dogs can exercise in safe, clean environments viewed as valuable assets within the community. Founded in 2002, ROMP has developed a strong partnership with the Milwaukee County Parks System, resulting in five dog exercise areas to date, with more to come. Visit www.milwaukeedogparks.org for more information. The West Allis Police Department K-9 Unit needs your help! On September 30, 2011 the K-9 Unit will be hosting an inaugural golf outing at New Berlin Hills Golf Course. The K-9 unit relies on financial generosity of local businesses, family and friends to support our operation, training, and development. We are seeking your sponsorship and/or financial donations to help with the continued success of the K-9 Unit. As a potential sponsor of the golf outing, you will have the opponunity to promote your business to a large group of loyal consumers. Your financial contributions and donations are tax deductible. We are offering various sponsorship options, each providing a different level of exposure for your company. All proceeds will be strictly allocated for the K-9 Unit. We plan to use the funds to replace outdated equipment and further develop the unit. Checks should be made payable to the West Allis Community Improvement Foundation, a 501(c)(3) non-profit organization. Please write WAPD K-9 Unit in the memo section. Please mail your payment to Captain Barry Waddell, 11301 W. Lincoln Ave. WestAllis, WI, 53227 prior to September 1, 2011. We are also seeking donations for a raffle and silent auction. Any donation would be greatly appreciated. If your business would like to sponsor gift bags for participants or create a “theme hole” on the golf course, please contact Cpl. Ryan McNally at 414-881:-4691 or Cpl. Jeff Zientek at 414-640-7456. Show the West Allis Community your company’s commitment to the WAPD K-9 Unit. Your support will help the WAPD continue to make West Allis a great place to live, work, and raise a family! We thank you in advance for your support for this cause that is so dear to our hearts! join in this family-friendly, all-ages event in support of area homeless animals. Milwaukee Area Domestic Animal Control (MADACC). The ride culminates with a picnic at HAWS from 1:00 – 5:00 p.m., featuring great food and drink, raffle prizes, adoptable pet meet’n’greets and music by Cold Brew. Complete Ride information and registration are available at www.rideforrover.com and www.hawspets.org. The participant fees of $20/driver and $10/additional rider include the official Ride for Rover II t-shirt. The many prizes at the picnic include a flat screen TV and bar tabs at local favorite establishments. is this Saturday, August 20, from 9:00 a.m. to 4:00 p.m. at Rotary Park (Fond du Lac Ave. west of Lilly Rd.). This FREE, pets-welcome event features all things for the pet and pet lover, from demonstrations to information to shopping to adoptable pets to food, fun and prizes. Donate an item from HAWS’ Wish List and receive a free 5”x7” pet portrait at the photo booth. Fetch was thrilled to be part of the matchmaking for Ms. Lena and her groom who were wed at Wisconsin State Fair. According to the Journal-Sentinel article below by Jackie Loohauis-Bennett, the groom first spotted Lena on the cover of Fetch Magazine. We know everyone at the event had a fun time and raised money for two good causes at the same time. Congrats to all! back and entries are now being accepted! read the contest guidelines at www.wihumane.org or www.ozaukeehumane.org and submit your photo!